Photographer Margaret Thompson traveled to Choachi, Colombia with “Nuestro Monte Luna” filmmaker Pablo Alvarez Mesa to capture some of the magic of his final production shoot. The results are spectacular – and judges from the Applied Arts Creative Excellence award agreed. 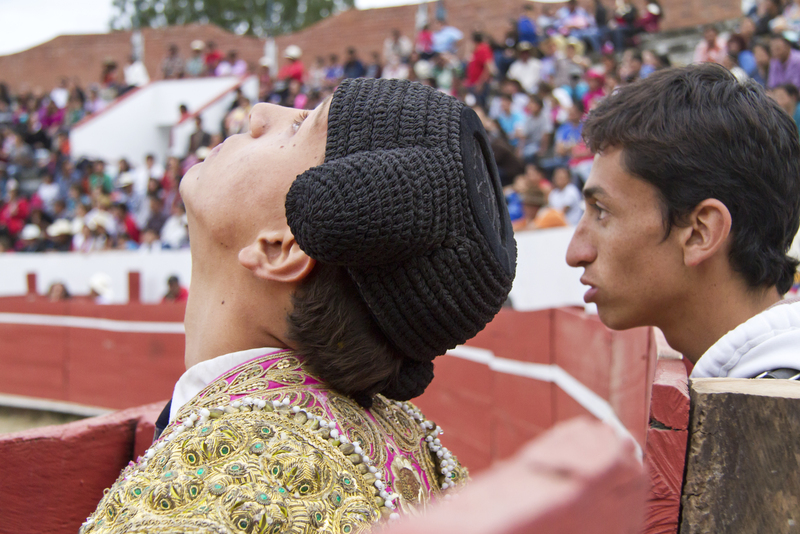 Margaret’s work on student bullfighters was one of the AACE winners, selected out of photographs from 18 countries around the world. See a sample below, just one of the official production stills for the film that will be released in 2015. More photos and film news to come.